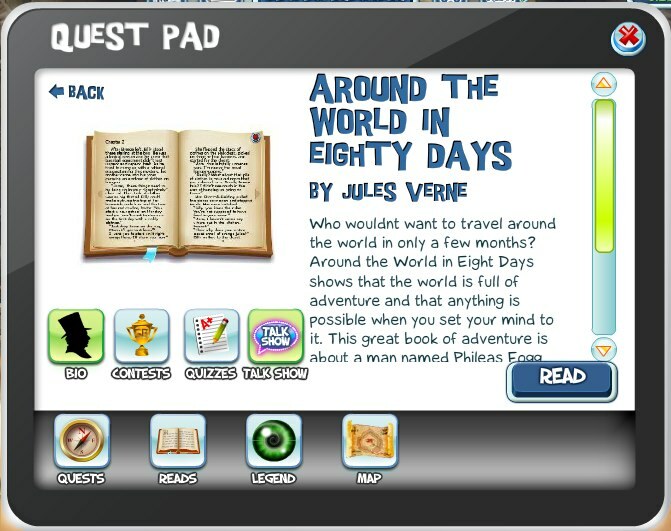 The current 50 Great Reads selections on SecretBuilders is Around the World in Eighty Days by French writer Jules Verne. Read excerpts from book, learn about the author, go on a quest, take quizzes, and enter cool contests. Also, don’t forget to attend the live talk show with Jules Verne on Wednesday March 14 at 4 pm SB time. Who wouldn’t want to travel around the world in only a few months? Around the World in Eight Days shows that the world is full of adventure and that anything is possible when you set your mind to it. This great book of adventure is about a man named Phileas Fogg, who takes a wager to go around the world in no more then 80 days. Risking his entire fortune on this bet, Phileas Fogg and his French valet Jean Passepartout make an amazing journey Around The World In Eighty Days.